Spring! Asparagus! Now! We have a variety of pastas (and risottos) with this wonderful spring vegetable in a variety of presentations. Go to www.classicpasta.com and on the Home page there is a search machine. Enter asparagus (or peas or any of the wonderful spring vegetables and get a variety of pasta presentations. Here is is one of our favorites --fusilli with asparagus and pancetta -- simple and wonderful. 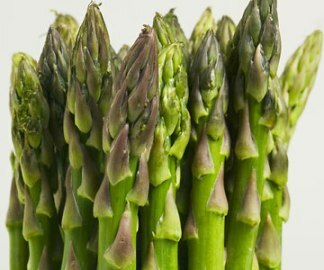 Break off the tough ends of the asparagus. Curt each stalk, slicing on the diagonal, into one-half inch pieces. In a saute pan over medium heat, put in one tablespoon of the olive oil and then add he pancetta or bacon. Saute for four or five minutes until the pieces are well browned (not crisp). With a slotted spoon remove the pancetta/bacon and put on a paper towel. Drain the olive oil from the saute pan and then add two fresh tablespoons of olive oil. Over medium heat, add the garlic, and twenty seconds later, add the onion. Cook until the onion is translucent about four minutes. Add the asparagus and saute until tender, generally just a few minutes if the stalks are small and fresh. Add a half teaspoon of salt, some freshly ground pepper and then add the pancetta/bacon back in the saute pan. Stir and cook for a minute or more. Meanwhile bring 4-5 quarts of water to a boil. Add two tablespoons of salt,Drop in the pasta and stir. Continue cooking until al dente (test by constantly tasting). Reserve a cup oif the pasta liquid and drain. Combine the pasta with the sauce over a medium heat. Add the parmesan and a tablespoon of butter. Stir thoroughly. If it is not moist enough add some of the reserved liquid. Taste for salt and peooer. Cover the pan and turn up the heat to high for one minute. This gets the pasta steaming hot, as it should be. Serve on heated plates. Add the parsley and extra parmesan as a garnish. Enjoy! !